WHAT IS POLISH NATIONAL CATHOLIC CHURCH? We are a Catholic and Apostolic Church, preserving the faith of the Apostles and having apostolic succession with an unbroken line of bishops from the Apostles of Jesus Christ, to the present day bishops and priests. 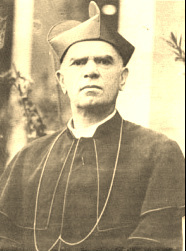 Our beliefs are based on Holy Scripture, Christians Tradition and Church Ecumenical Synods.Franciszek Hodur (1866-1953), our first Prime Bishop, organized our Church in 1897 in Scranton, Pennsylvania. Today, there are more than 25,000 members in America and Canada. There are five dioceses of National Catholic Church: Buffalo-Pittsburgh, Central, Eastern, Western and Canada. Can we meet your spiritual needs? Probably YES, because WE ARE A WELCOMING CHURCH - our doors are open to all.